﻿Thanks for making one of the best PrestaShop module providers. Todday, we proudly announced the new version 1.2.5 release of Agile Mutiple Seller module 1.2.5. With this new version 1.2.5 of Agile Multiple Seller/Vendor module, you will be able to leverage following new features. - Hide products from other sellers in order alert email sent to seller and display a notes in indicate this matter. - Hide products from other sellers in order detailed page at back office if current logged in is a seller. 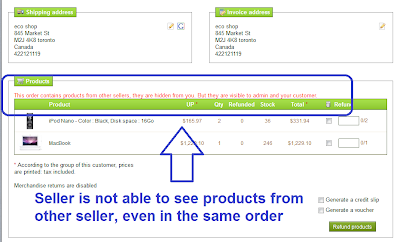 Seller can only see his/her prroducts even if the order contains products from other sellers. And a notes will be displayed to indicate this matter. - Hide products from other sellers in PDF invoice at back office if current logged in is a seller. A note will be displayed to insicate this matter. - Display following message in above order detail, PDF invoice or email alert send to seller, if the order contains products from different sellers. each seller can only see his/her own products. 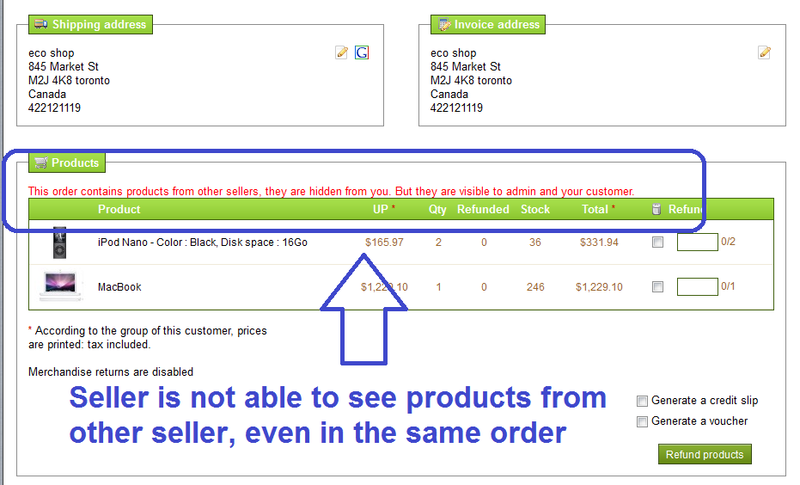 "This order contains products from other sellers, they are hidden from you. But they they are visible to admin and your customer." - Enable HTML editor for seller info description fields. So you will be able to create rich text by what you see is what get HTML editor. - Fix the duplication display of customer in customer "Tab"
- Moved the "Seller Info" tab from "Employees" tab to "Customers" tab in back office. ﻿﻿What is Agile Multiple Seller/Vendor module?